So, in a few words (10,000 maybe), Boston is a small sleepy town that has these tall railroad looking houses, overrun with siding and what amounts to wooden porches. Visually, the outskirts are not so visual. The nicest places were over in Cambridge and Beacon Hill. Cambridge just felt warm and cozy. Beacon Hill you just knew was out of reach-fancy pants area. In the city Mansions–need I say more. I likes the hidden driveways, large windows with lace, satin and cotton curtains. Also the oldness just hits all at once. Some buildings date back to 1700. The food scene is another story. We brunched it up at ZOES. It is in Cambridge (where the Harvadites hang out). It was rather cold the day we arrived-Saturday before Christmas. Yeah-cold and windy. 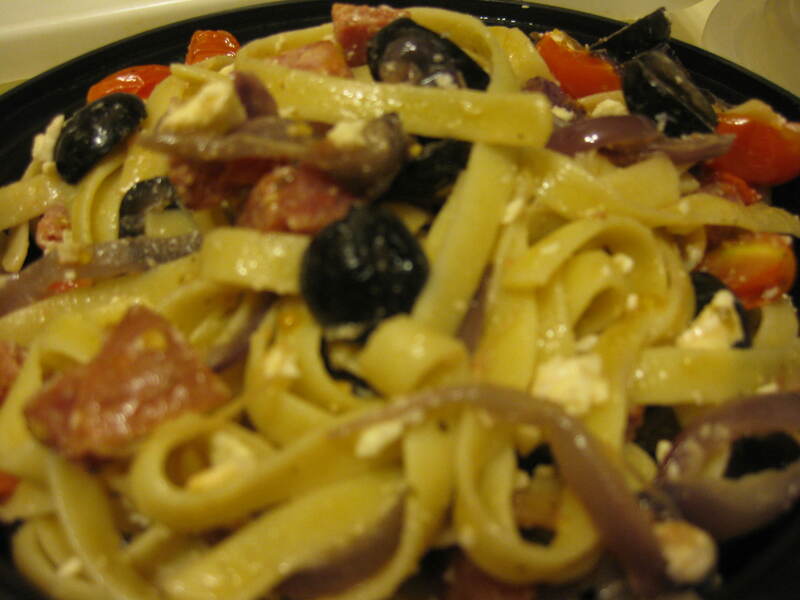 We looked for a place to eat, not too crowded, not to stuffy, not too yuppy, relaxed environment. They were in short supply. We looked downstairs in a small food mall. It was a diner for the college and post college aged crowd. 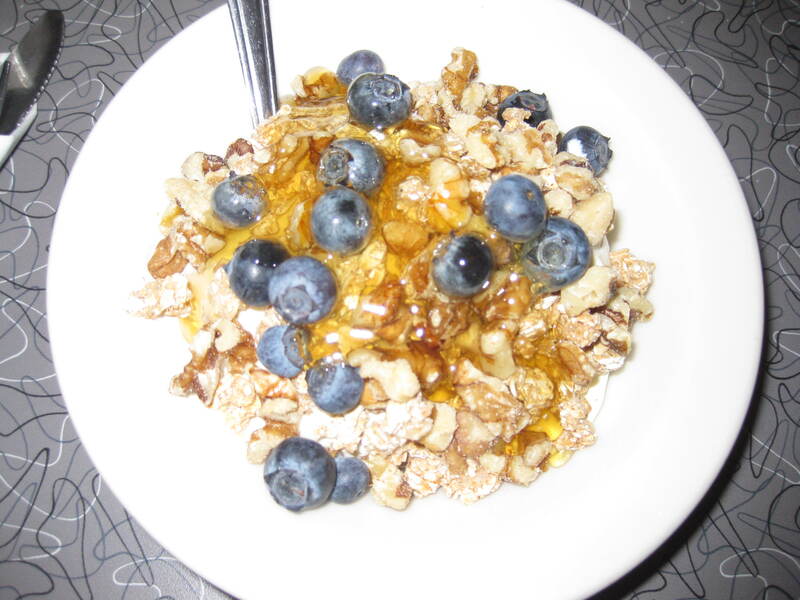 I had Greek Yogurt with all the fixins-blueberry, granola, honey and walnuts. When I asked for all the fixins I got the blank stare. I received my dish fixin less and had to go ask for it. My other half had a cheeseburger–it was amazing. 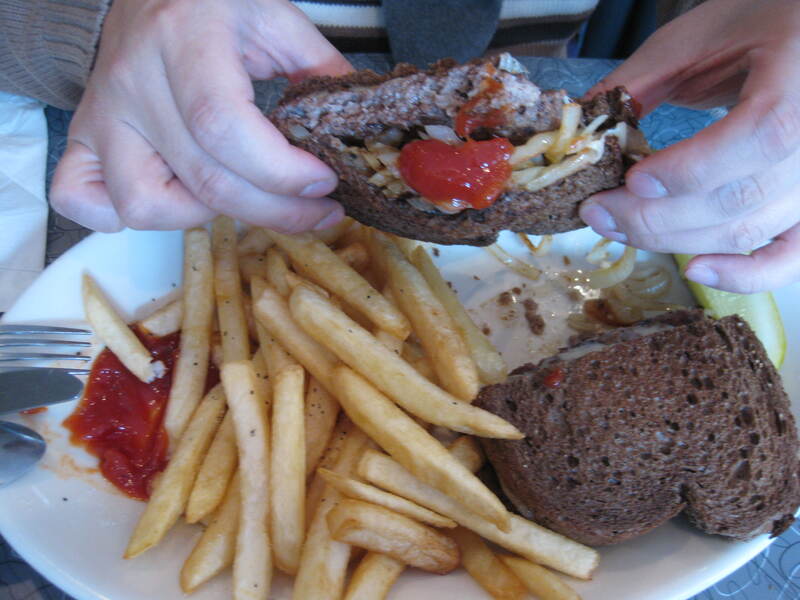 It was an individually made burger with grilled provolone cheese on rye bread. It was accompanied with great fries as well. The service as a 7 out 10. I would have given an 8 out of 10 had they not forgotten my fixins. For dinner we went to the Warren Tavern. I looked up the best bars/hang out places.-Yelp Of course I was not sure of the crowd and all of that. It was in a bar that was around since forever-1780. Yeah it is old by American standards. I stepped inside and was waiting for my other half to park the car. So the host chatted me up as he had to check my license and he had actually live in our town for a little while. What are the chances! The tavern was cozy-at least where they served the food. 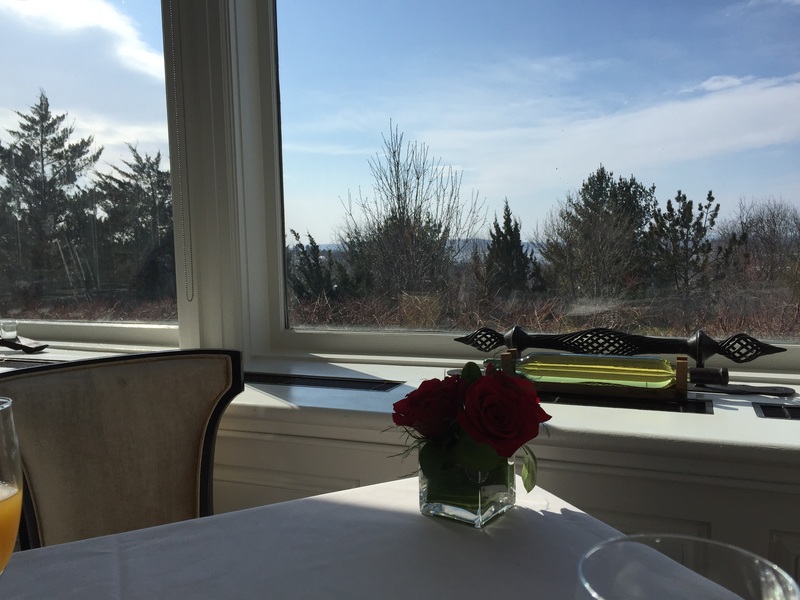 It was like what Smith & Wollensky’s is–all the wood. It was in a civilized part of town so maybe it used to draw the same type of crowd as a S & W. So we ordered bizarrely but what we wanted. 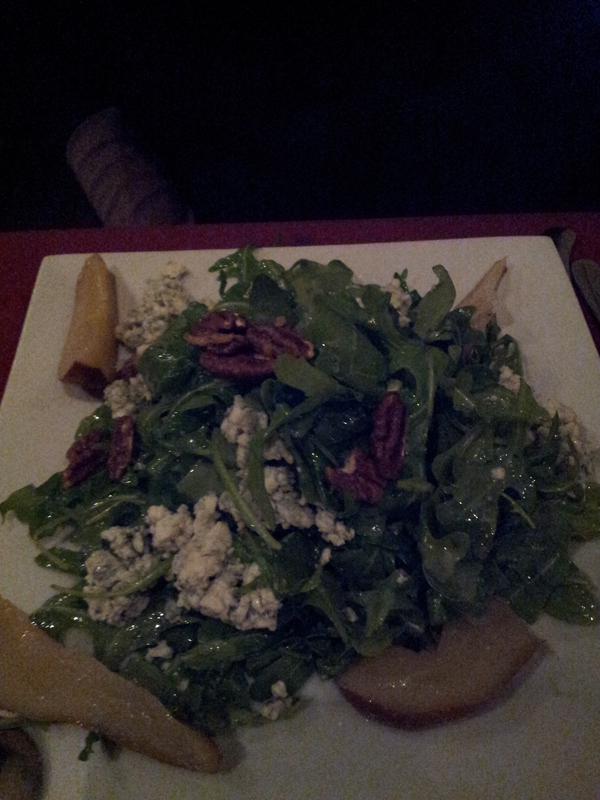 I got a pear, Gorgonzola and walnut salad. First though we tried the New England Clam Chowder. It was good. I reserve a comment for that after I speak about the other food. We then got a surf and turf. In my experience, surf and turf is a hit or miss. It usually looks sad on the plate-the smallest filet mignon that can they can find, 4 or so shrimp and then something green, string beans or broccoli and then maybe some potatoes, whole or mashed. 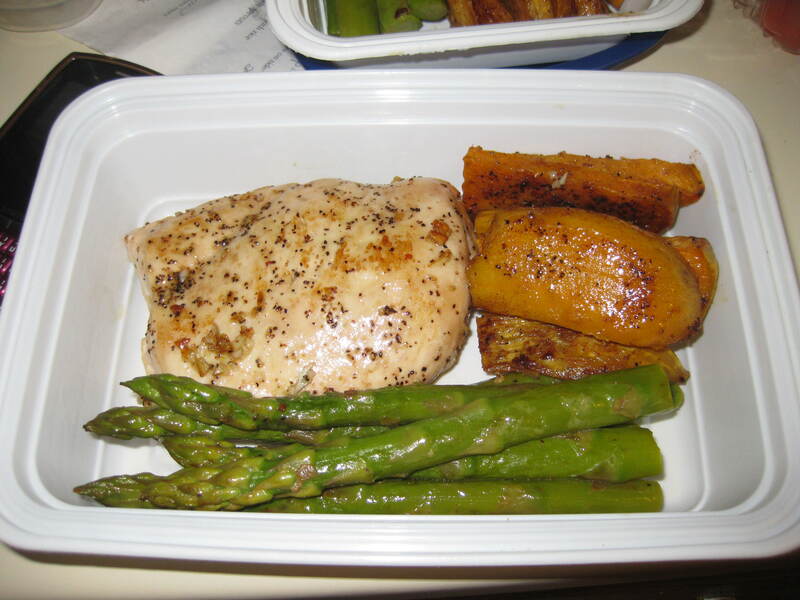 For once I would like them to jazz it up, throw some sweet potato on there, add some asparagus or some kale and then rub the meat–well I guess that would really amp the price up. Okay, well at least then make the steak to order so it looks juicy and then veggies, rub with some butter and maybe garlic it and add a tad bit of cream, salt and black pepper. I am just saying. 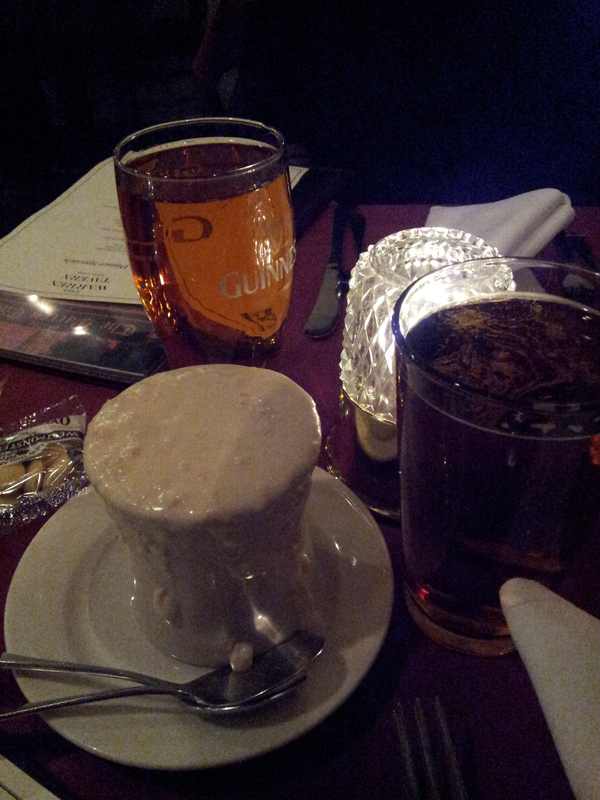 New England Clam Chowder was best part of the meal. On Sunday we drove a few minutes across the bridge and did a tour of the city. It only took 45 minutes to circumnavigate the small city and that was with doubling back. We got off and did some walking. We had lunch at Quincy Market-our muffins from the hotel. We passed up lobster sandwiches because that is just not our thing and eating on the run that day was just what we did. We were not cheap as we had paid for the muffins. I thought about visiting Rinos, which we heard about on Diners Drive-ins and Dives. We heard mixed things and we checked that evening and realized that it was closed on Sundays. Boo hoo. We drove past and saw that no one was in there except the staff. So with that said we drove over to another area that had Italian food. We looked for Mario,s, well that place was closed–wow, we had left NY. (Sunday evening) We found another place that was close by called Jeveli’s. It was a bar and old style restaurant with a back area. The back area was not crowded but we stayed in the front-which was not so full either. What to get? 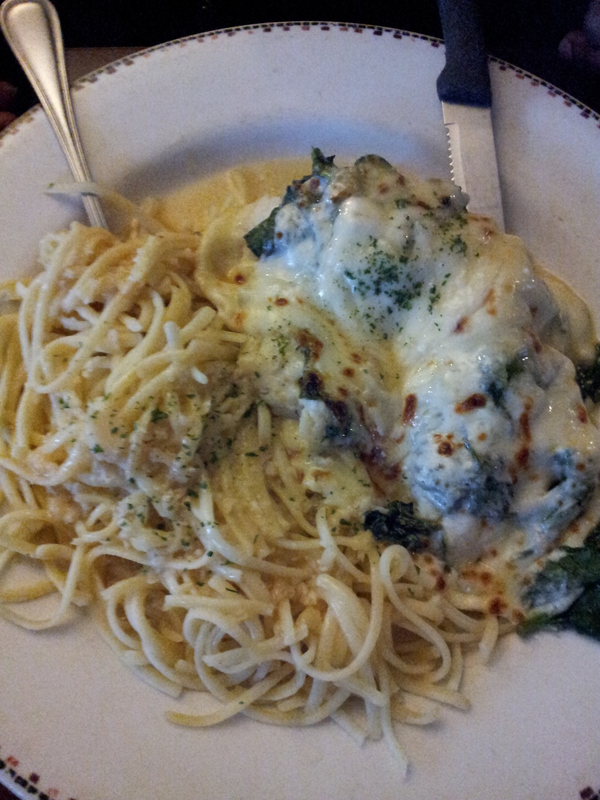 Well I had the haddock Florentine on top of Spaghetti. The bread they put on the table was warm but not impressive. I am biased working in a company with lots of different bread. My other half had ravioli. I laughed when he chose it and laughed again when it came out looking so sad. 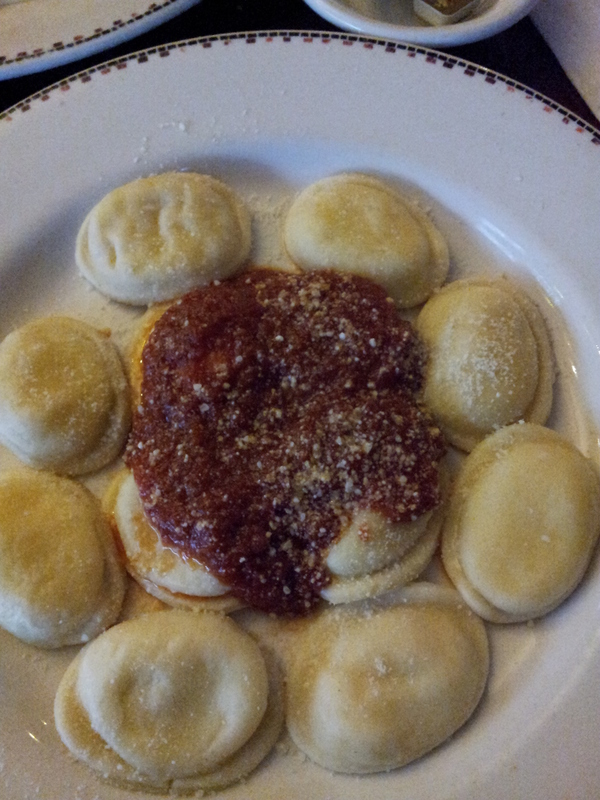 I buy ravioli in our local supermarket and dress it up, and it tastes great. This was just ravioli with literally one ladle of sauce–sin I tell you. We ate some and then realized that we needed more sauce. Yeah, more sauce. It only made it taste a little better. On Monday we drove outside of the area, to Lexington, the place we only knew because we read about it in history class and famous though small, battles occurred there. We had snacks and did not eat in any of those locations. We held out for dinner. We did however drive out to a part that looked like Virginia/MD so it felt comfortable. We had time to kill and decided to catch a movie. 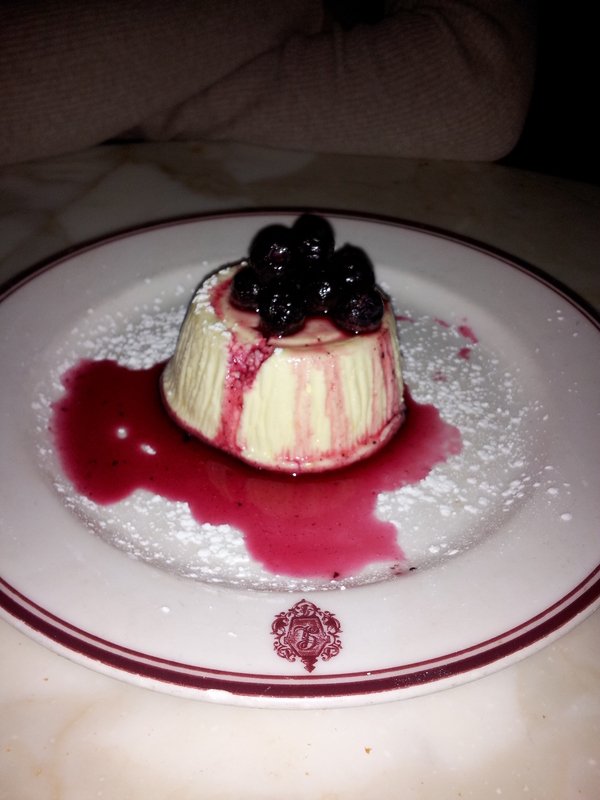 With that we were to cut it close with our dinner reservations at Gaslight Brasserie. I called and got it pushed back. We arrived before the time and were seated. The place we went to was on the other side of the city pass China Town. It was in a formerly industrial looking area with a lot of warehouse looking space that had been converted. It could have been seedy but the people did not let the area get that way—Yay us little people, walking in the dark in an unfamiliar place. We were pulling out all the stops here. Only our first meal on the trip was great so the last had to make it all worth while. The place was dim, covered in white subway tiled walls, and was woody with the worn but privileged look. We scanned for minorities. We just wanted to see. We wanted to see if the staff was mixed as well. We sat in the middle of the main dinning area-really in the middle, almost on showcase. Picture this: two little people, not overly dressed up (not many people were, although that was the original plan) and there were families to either side. We had a girl server. She guided me to this fruity but loaded drink. It was a sipper. Below was our dinner. I had the Duck. We noticed for a while that we did not have bread. My other half realized and insisted that we get some. We had seen other tables get this mini baguette bag. (we once went to a Mexican restaurant and they never bought us chips and dip/guacamole-all the other tables received–we just wrote a lovely note on the bill) The bread was okay, better than at the Italian place. 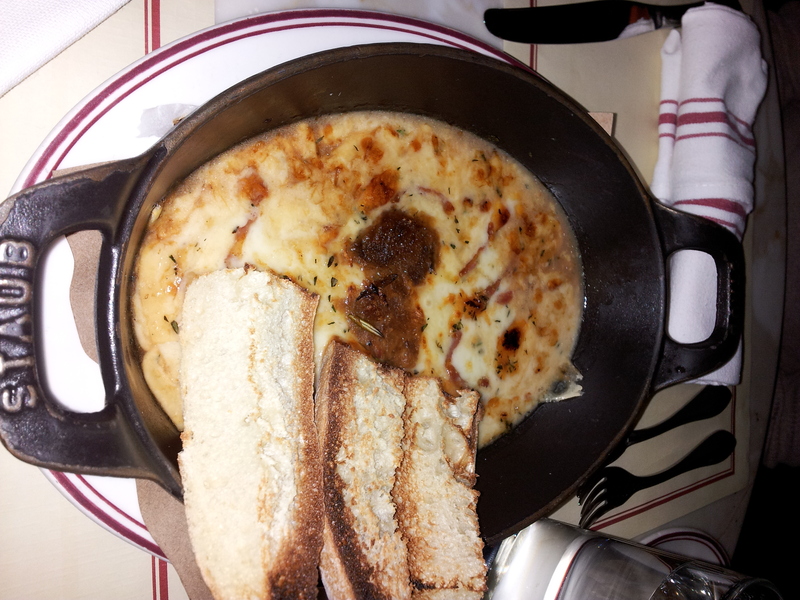 The fondue–YUMMY. I started eating the cheese with my fork. Amazing. My meal was great, the textures really made me have fun eating. The red rice was in the sauce but the sauce was not too much. It was just enough sauce to go with the duck and it lightly coated the rice. 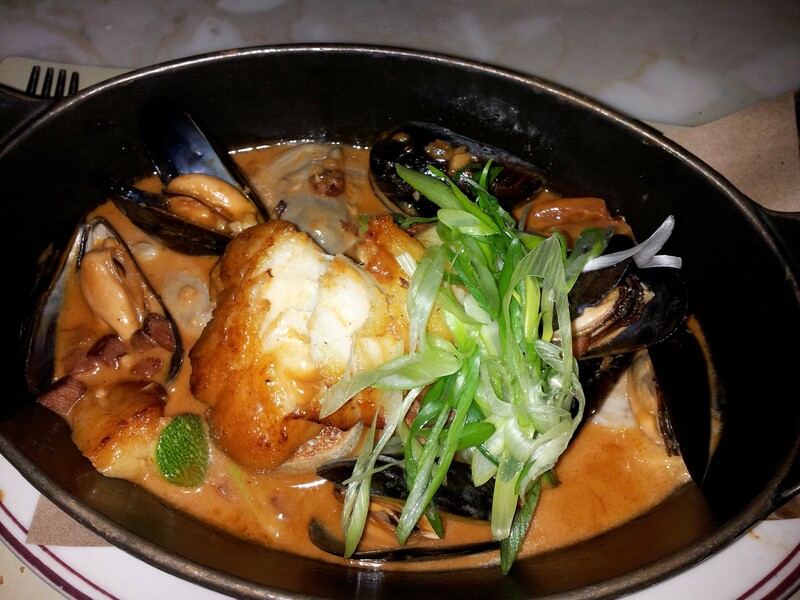 The Cod was well presented in a black cast iron pot–stove to table. It was an excellent combination. We admired the decor while we tried to guess if the guy next to us was a high class Spaniard or an Indian guy. Well he was Indian, right down to the bangles on his daughter’s arms. His wife was not Indian but could have actually been a Spaniard–the well to do type. We actually ended up speaking to husband as he spoke about his girls and the one losing her bangles everywhere. We topped off diner with dessert. Yes we found room and I tried to finish my Cherry Blossom. Place for nice date (he really likes you) kind of place, understated though. The lights were too dim to really get any kind of excited feeling immediately. For the food I give it 7.5 to 8. Service we give a 5–you cannot just forget the bread. For the atmosphere I would say a 7. I would visit again and try another one of their cool meals. That commences our Boston adventure, we checked out around 11 the following day. It was short and sweet and will not happen again for a long time. Someone said the summer is better–possibly. We would have ridden out bikes. 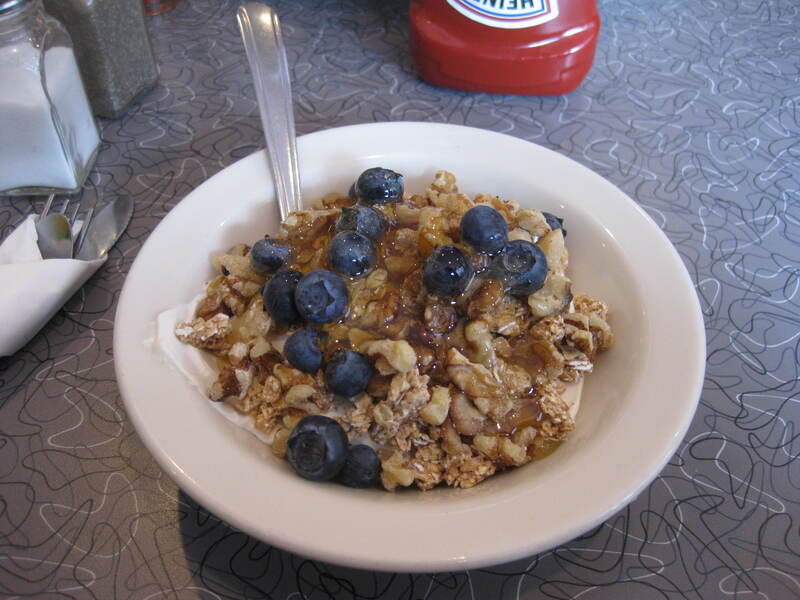 For food lovers, you will have to have friends who live there as the good stuff is not out in the open. There were chains like Starbucks, Subway and a few others but real Boston restaurants are sought. This is what you get when you work with Sparks Catering Services. 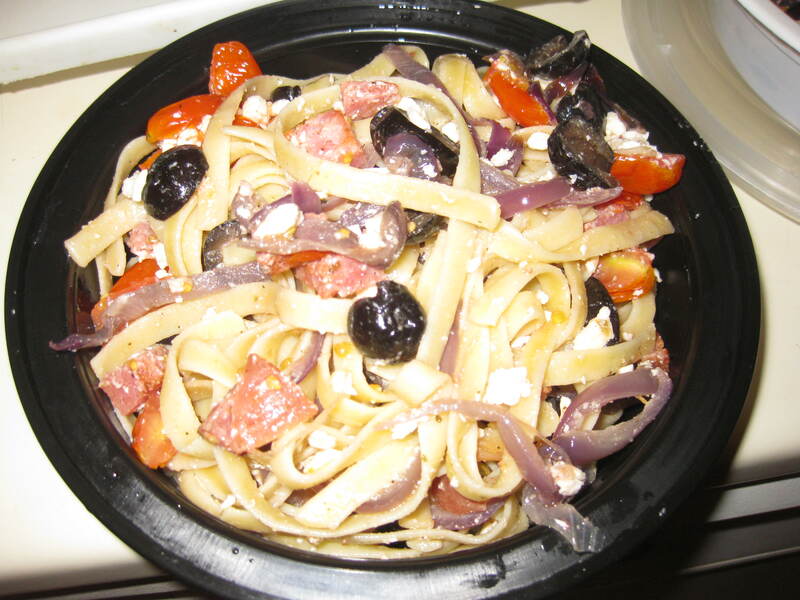 Accepting new customers for 2013–small gatherings, meal plans, occasional dishes for an event. Food is in like Flinn! !